For centuries, Wonderland thrived as the domain of beautiful bedlam and unapologetic madness. It was a place like no other. All it took was one girl slipping in through the cracks of the universe to start chaos spiraling toward order. In the 150 years since Alice’s visit, the realm has become tainted—almost normal. Rabbits in waistcoats and playing card minions are little more than creatures of myth, and Wonderland is literally falling to pieces. For Gwen, Rose, and Lucky, Wonderland is home, and yet they know little of its former glory. 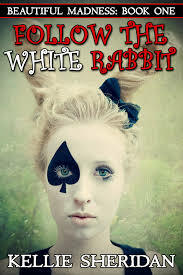 When the Alice prophecy resurfaces, they’ll have one chance to use Wonderland’s own legends to bring a little mayhem back into their reality. For she who controls Alice controls the fate of Wonderland. Ok I have to admit that the majority of this book was character development and not really any plot and so two thirds of the way through I even thought about stopping BUT I’m glad I didn’t because although it ends abruptly the reason I decided to give it three stars is because I do know that there will soon be an addition to this story and right there toward the end I began to see what potential this series has, there was something there when it felt like the story was just beginning that just said to me, don’t give up, there is greatness yet to come so with that I am ready for Awake and Dreaming! 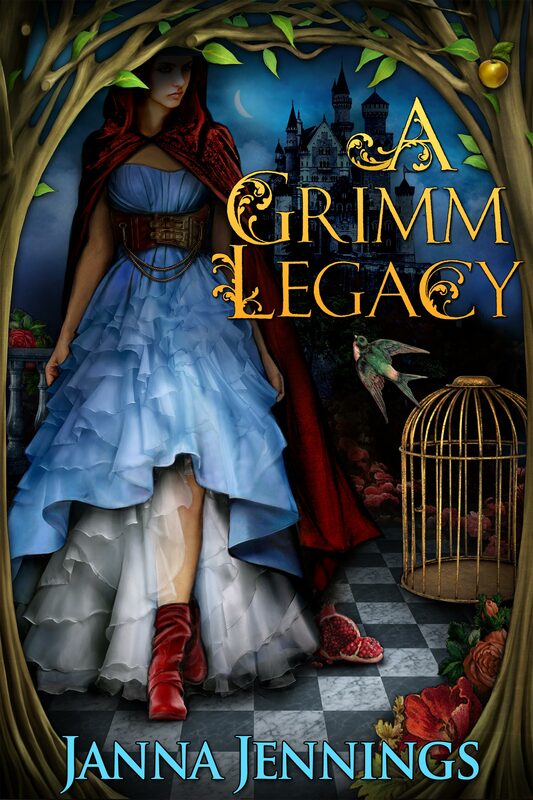 Welcome to my stop on A Grimm Legacy’s blog tour!! The woods of Elorium appear ordinary to Andi Grace, until birds start talking and elves answer doors. Along with three others, Andi has been whisked out of her world and finds herself the reluctant guest of the perplexing millionaire, Mr. Jackson-a stranger willing to help get them home, but who’s keeping secrets of his own. Faced with characters short on whimsy and bent towards treachery, Andi, Quinn, Fredrick, and Dylan are forced into fairy tale roles to find the way home. But in Elorium, happily ever after is never guaranteed. Finally able to peer into the ruined basket, Quinn found not the young boy she had been expecting, but someone sixteen or seventeen, close to her age. Bundled in winter gear—a heavy coat, gloves, and boots—he turned his head, careful to distribute his weight evenly in the unsteady basket. “No worries,” Quinn said, finding it difficult to immediately break away from his serious green eyes. “I’ll get you out. Here.” Quinn unwound a few yards of her line and tossed it on top of him. “Tie that around your waist. It won’t be pleasant if the basket drops, but you won’t fall.” She pulled the slack out of her rope and wound it several times around the trunk of the tree, hanging on to the free end. He nodded, looking more determined than scared, which was impressive. He inched himself to safety, reaching the edge of the basket and grabbing the branch below Quinn. An ominous creak made him freeze mid-turn. The basket settled. Quinn hadn’t realized she had tensed up until the muscles of her knotted back began to relax. With a crack, a pivotal branch broke, free creating a domino effect of splintering limbs and flying pinecones as the basket pinwheeled to the ground. The guy’s yell was lost in the amputation of tree limbs as he launched himself at Quinn’s tree. He missed and fell, the rope catching him awkwardly under the arms. On the other end of the tether, Quinn braced herself, but the boy’s momentum was too much for her precarious seat. She was launched from the branch, smacking hard into the trunk. They dangled, twisting on the rope. Fighting for breath, Quinn shuddered, her hands burning and raw. Strung in the tree like two battered Christmas ornaments, their faces only inches apart, Quinn stared into his eyes and saw her disbelief, relief, and barely contained hysteria reflected in them. 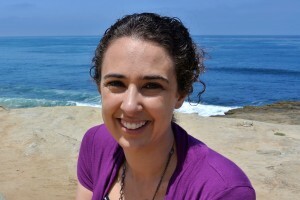 Janna is a Colorado based YA author who loves a good fairy tale. She’s married to her own real life prince charming, and will usually admit to being mom of three, including her incorrigible middle child. She has a good deal of education in subjects that are somehow not related to writing, which includes a Masters in Education. Currently she teaches toddlers important life skills like which end of a spoon to use and that gluesticks are not for eating. They lack a few things that make a good literary critic, but she loves her students all the same. Besides wrangling with kids Janna can be found doing some therapeutic baking, dreaming of the ocean, and of course, curling up with a good book. 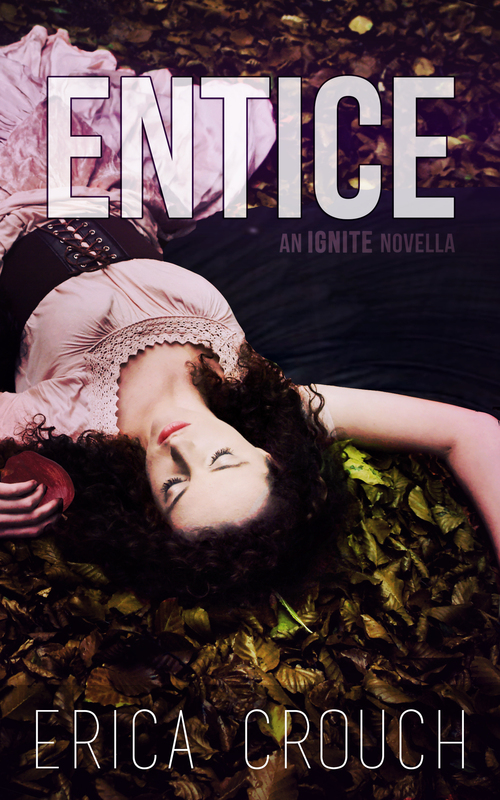 Welcome to my stop on the Entice blog tour!